A celebration of the thousands of North East dialect words donated during The Word's original Lost Dialects exhibition, Word Bank of Lost Dialects is an exhibition by artists Jane Glennie and Robert Good which invites you to experience the donated words. 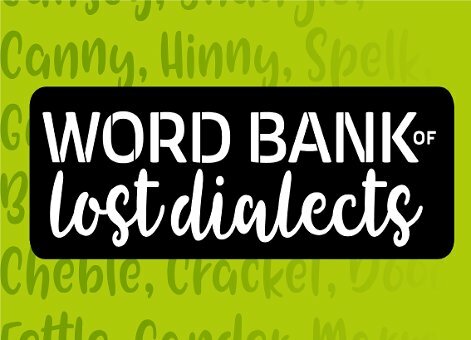 The Word Bank of Lost Dialects contains around 2,400 donations of 'lost words' from the North East. In this new exhibition, located in the Caer Urfa pod, you will be able to view the full Word Bank and take a rubbing of some of your most-loved Geordie words. You will be able to find out about the history of some of the most popular words donated (and some of the obscure) and vote for your favourites.